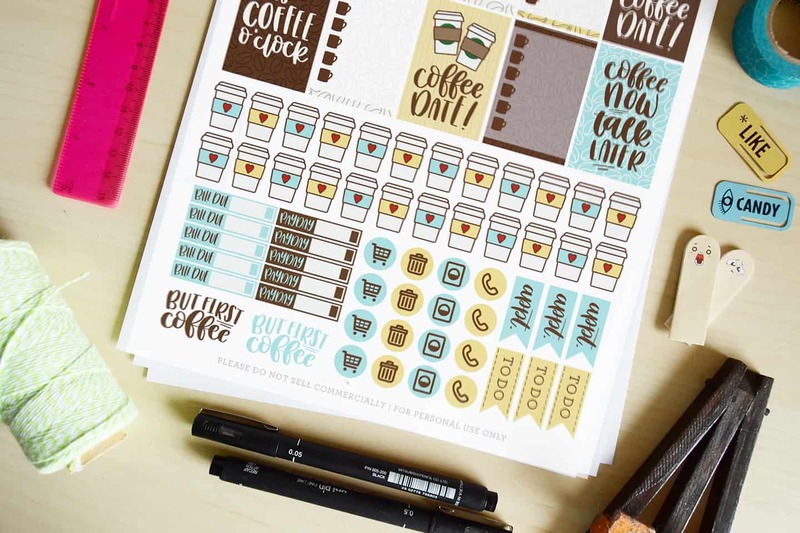 Grab some free printable coffee stickers for your planner! 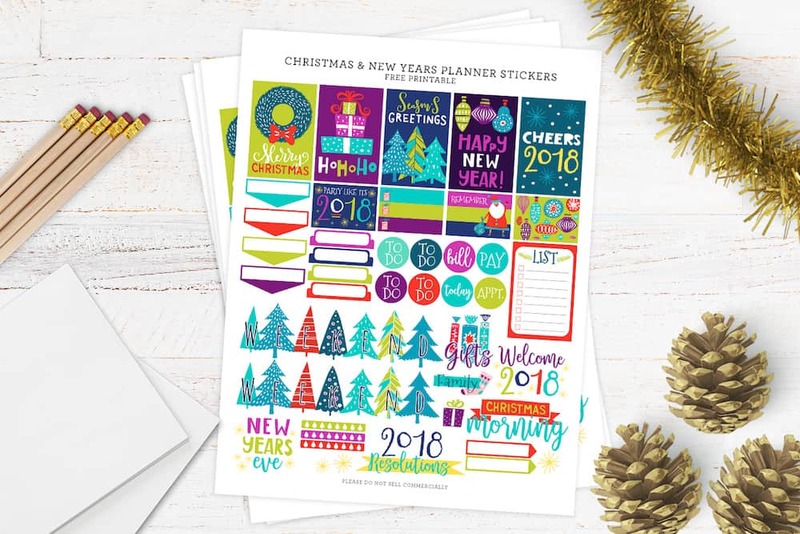 Perfect for Happy Planner, Day Designer, bullet journal, and more. Hey guys! 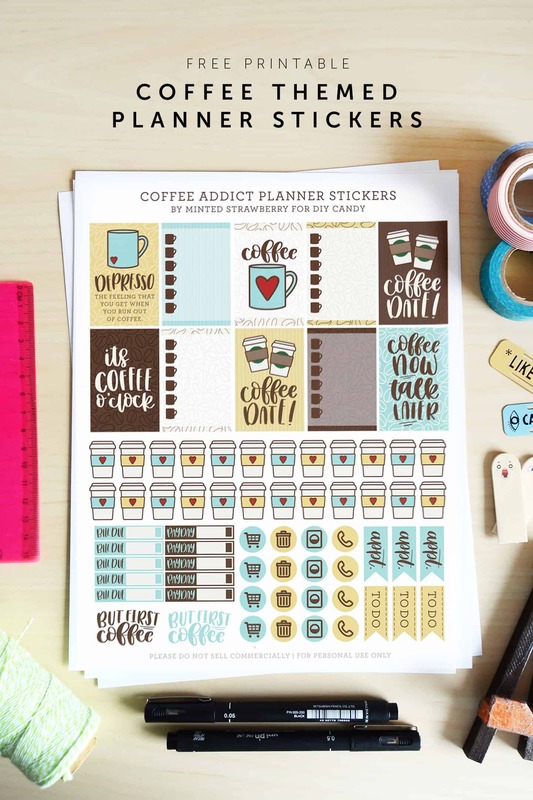 Aki here from Minted Strawberry sharing with you a full-page set of coffee-themed printable planner stickers! One of the things I cannot exist without is coffee – yup, I’m your typical girl with the coffee in one hand while working on my computer. 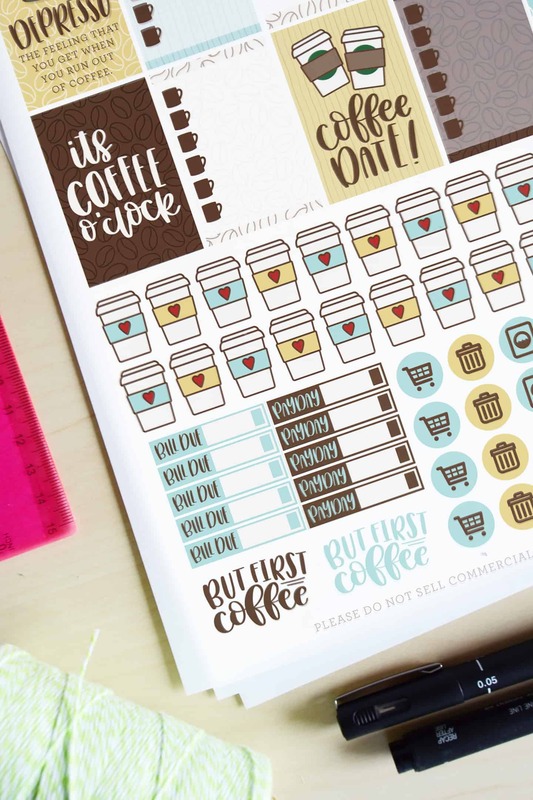 If you’re like me and you love coffee too, then maybe this printable is just for you. 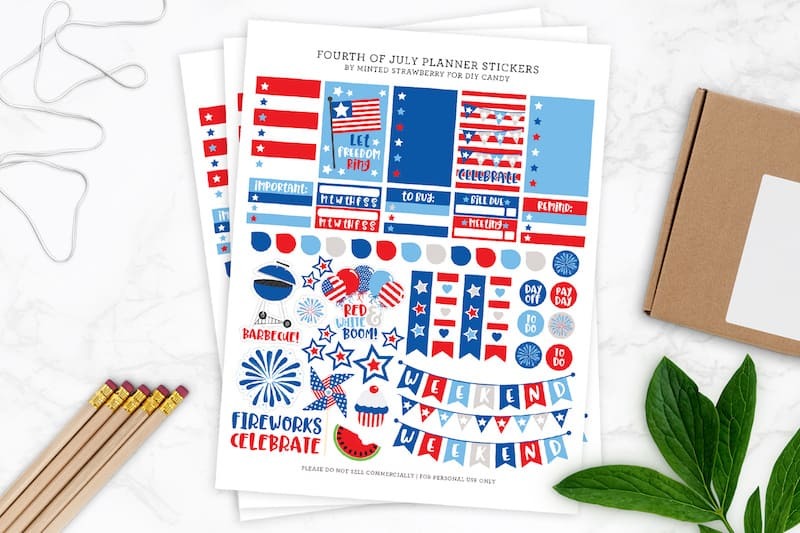 These planner stickers come with exclusive hand-lettered phrases and designs – it also comes with a variety of inside box stickers ready for you to use, as well as task circles, flags for appointments and to-do’s, and bill due and pay day boxes. No special machine needed to cut them out! Just use your scissors or if you’re handy with a craft knife and a steel rule, even better. 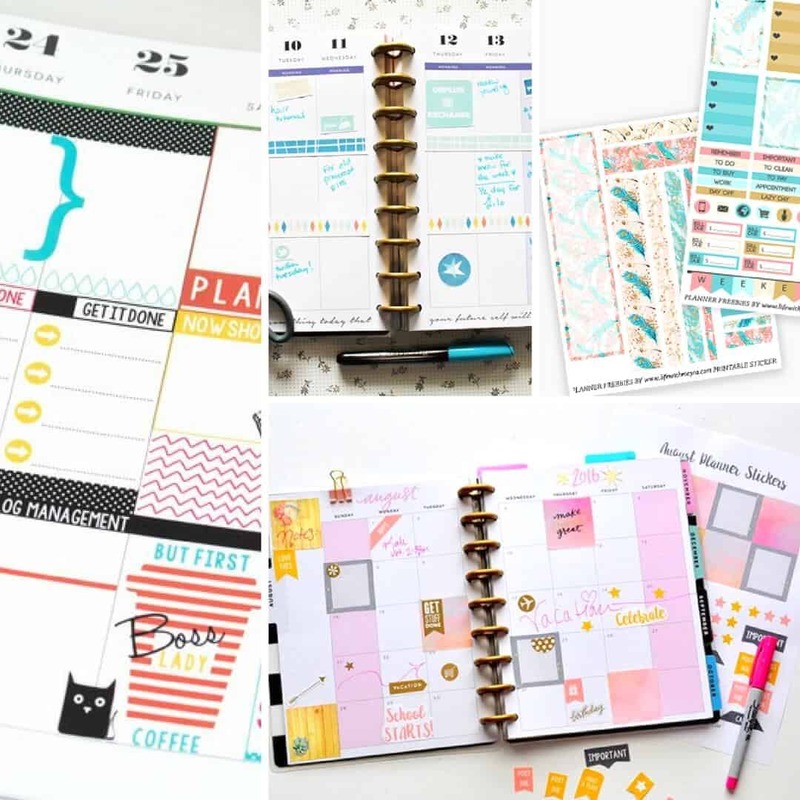 They’re compatible with the Happy Planner, but you can totally still use them even if you use a different brand of planner or even a bullet journal! DOWNLOAD THE FREE PRINTABLE HERE* Please note they are for personal use only – but other than that, print away and have fun! 🙂 *Click the blue box at the top right to download. You do not need to sign up for an account. I recommend printing these coffee stickers on THESE Avery full sheet labels. 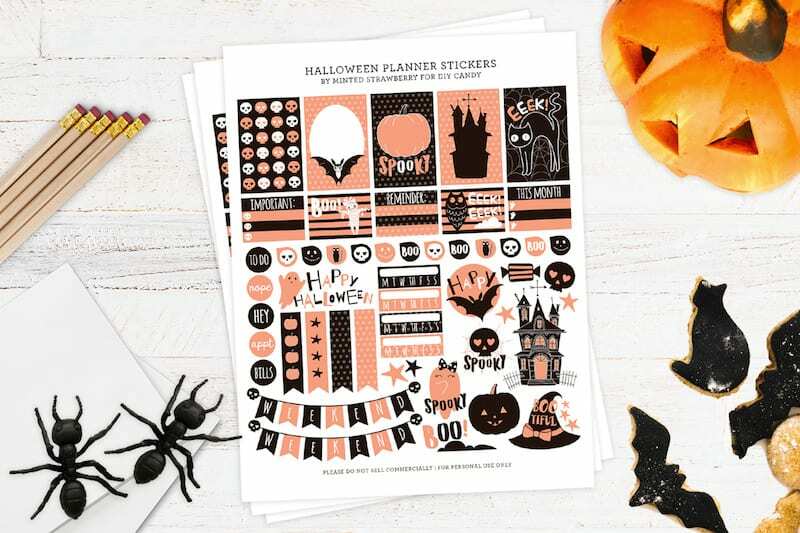 You’ll get a pack of 25 sheets and then you can print tons of free Happy Planner stickers that you find online! If you love my hand-lettering, don’t forget to check out my SVG shop for commercial-use cut files! Don’t forget to check out my other social media as well to keep up with free printables and other DIY goodness. What’s your favorite kind of coffee? Wow, these are adorable. Pin! Hello! What kind of paper would I print these on? Obviously label paper but I’m wondering if there’s one that you recommend over others? Thank you so much, they are so cute. What sticker paper is good to print these off onto, and how do we print the one page w/ multiple sizes of stickers? Its so nice, thank you!!! These are freaking adorable! I love, love, love them! Thank you for sharing! Is that enough exclamation points? I don’t know! Haha! So glad you like them – thank you Jill! If you use them please share a photo! If I use this in my bullet Journal then show it on my blog but if I link back to you well that be okay? I could also do a feature!!! Hey! These are so cute thank you! I love free printables! I linked your page to my website and told my readers about this printable. I hope that was ok. Thank you so much! Yay! Glad you love them! Thank you! 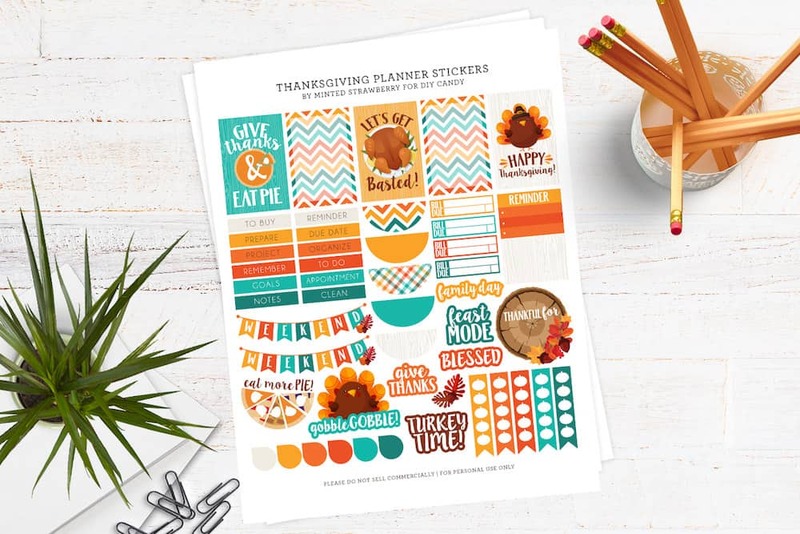 Any chance of doing these in a format for us Cricut users? The software doesn’t read pdf files. Thank you so much! Love the design!